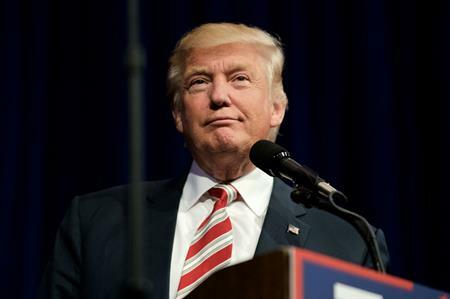 As Donald Trump clinches victory in the US election, the event industry raises concerns about the impact it will have on global economies. Despite months of polls favouring Democrat candidate Hillary Clinton, the Republican nominee was announced as president early of the United States this morning, after winning votes in the key swing states of Florida, Ohio and North Carolina. "I would be surprised if people are shocked by the result," said Dale Parmenter, CEO of drp. "The danger is now how the markets react and the potential effect on the UK economy. The positive effect on inbound business to the UK could be short lived if the dollar drops. What we don’t need now is more uncertainty and overreaction." He added: "The next few weeks will see how Trump establishes himself as president. It was a bitter campaign with lots of bravado and promises, we need to understand what he intends to do in his first 100 days and how many of those promises will materialise. It is essential to have a business as usual approach and not get dragged in to the media circus." Sam Robson, group events director at the Appointment Group, said she believed the win would have a negative effect on the world economy, particularly in the short-term as people adjust to the change. "There’s already anxiety due to Brexit, and this will only increase uncertainty. I think people will be less likely to book events in advance, until we understand the impact of the election result more clearly." However, on the positive side, she said that the dollar to pound exchange rate could improve. Rick Stainton, managing director of Smyle also expressed concerns. "The key really is what happens next. His acceptance speech was quite calming, which is a positive sign, but it all depends how he adapts to the presidency. If he decides to go his own way and not take advice, we could be in trouble- especially if it leads to a negative impact on the economy. "When America gets a cold, the whole world comes down with it. He also has plans to put trade tariffs on developing nations, which could have a huge impact on China. If the US economy does suffer, and the far east suffers, we could be at risk of another recession." On the upside, he pointed out that Trump seemed keen to negotiate trade deals with the UK. "He has spoken at length about partnership with the UK, and this could benefit us, particularly after the Brexit vote."